Medications known as PARP inhibitors have emerged as a promising therapy for several forms of cancer fueled by a defect in the cells' DNA repair machinery. Yet many people with cancers caused by the defect, known as HR deficiency, who stand to benefit from PARP inhibitors remain unidentified because standard genetic panels used in the clinic do not reliably detect the cancer-causing HR deficiency. "Pinpointing actionable genetic biomarkers and treating patients with drugs that specifically target the relevant cancer-driving pathways is at the heart of precision medicine. We believe our algorithm can greatly enhance physicians' ability to deliver such individualized therapy," said study senior author Peter Park, professor of biomedical informatics in the Blavatnik Institute at HMS. PARP inhibitors are most commonly used in patients with breast cancer who have mutations in their BRCA genes. BRCA mutations can interfere with the cells' HR machinery, a mechanism used by cells to mend harmful DNA breaks. Yet, not everyone with an HR deficiency has a BRCA mutation. In fact, many people with breast cancer who harbor HR defects do not have BRCA mutations. As a result, most commonly used genetic tests—designed to look for BRCA mutation—miss the underlying HR deficiency that can give rise to breast, ovarian, pancreatic and other cancers. Thus, a number of cancer cases fueled by HR gene defects remain undetected by standard gene assays, the researchers said. "Tens of thousands of patients with cancer are profiled with gene panels across many hospitals and we believe our algorithm can detect the molecular footprints of the underlying cancer-causing defects with much greater sensitivity," said study first author Doga Gulhan, a post-doctoral researcher in the department of biomedical informatics at HMS. "The overarching goal of such testing is to help clinicians determine the optimal treatment for each patient based on the absence or presence of a given gene defect." The team's analysis suggests that in the case of breast cancer alone, incorporating the algorithm into current genetic panels would double the number of patients who could benefit from PARP inhibitors. Of the 270,000 new breast cancer cases diagnosed in 2018, between 5 percent and 10 percent (13,500 to 27,000) are attributed to BRCA defects. Using computer simulation analysis, the researchers identified twice as many cases of breast cancer (27,00 to 54,000) bearing the genomic footprint of HR defects without BRCA mutations. 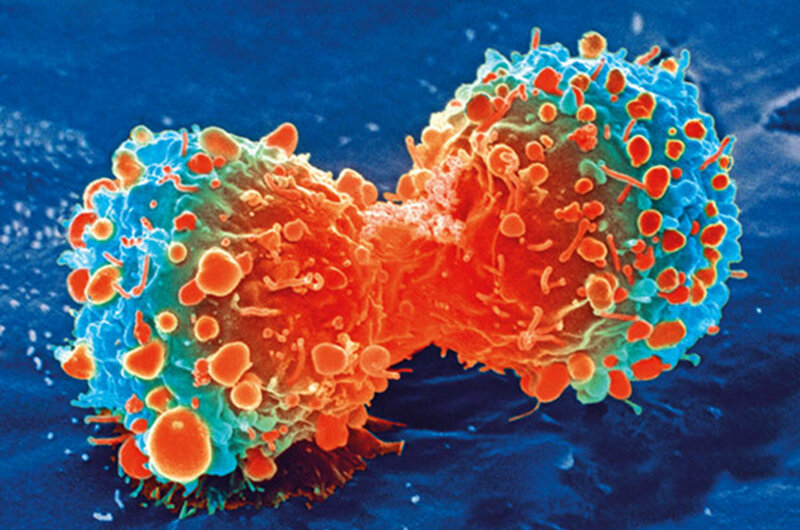 Cancer mutations can arise from inherited malformations in gene structure or from environmental causes such as UV radiation or cigarette smoke. Each of these disruptors causes idiosyncratic alterations in the cells' DNA. As a result, the letters of the DNA strand get scrambled—a genetic spelling error that can give rise to cancer. The new algorithm is capable of identifying characteristic patterns of such spelling errors to detect the presence of the HR defect. Detecting HR's telltale molecular clues in genetic samples is currently possible only if a person has their entire genome—some 20,000 genes—sequenced. Such extensive sequencing, however, is not done in the clinic and is limited to research uses. By comparison, most standard genetic panels analyze between 200 and 400 genes. The advantage of the new algorithm is that it can see the molecular footprints of the HR defect even in the standard clinical tests, which analyze only a subset of genes. The researchers say their algorithm is better at detecting the presence of HR defects because it was "trained" on thousands of fully sequenced tumor genomes. This extensive training gives the algorithm a more expansive vocabulary that allows it to read and interpret many more molecular languages and misspellings based on far fewer molecular clues. To gauge SigMA's performance on a real gene panel, the researchers applied it to 878 breast tumor samples from patients who had been previously analyzed by a standard genetic test. 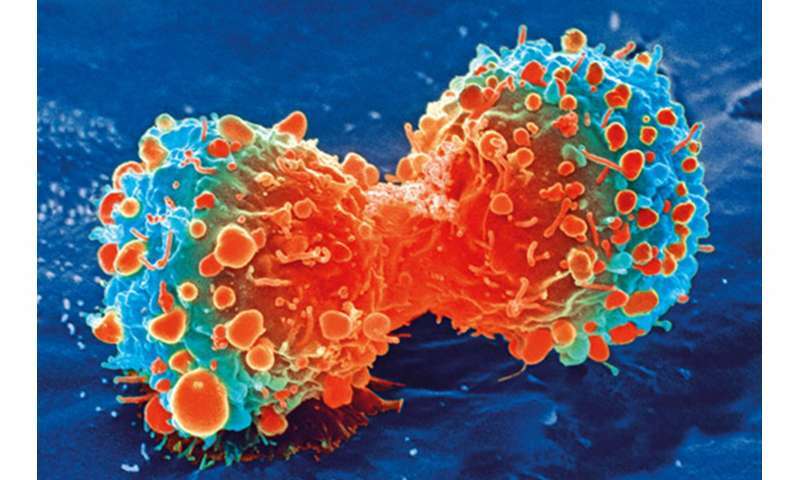 The algorithm identified 23 percent of the tumor samples as bearing the mark of HR deficiency. The algorithm also detected previously unidentified HR defects in other types of cancers, ranging from 5 percent in esophageal cancers and 38 percent of samples in ovarian cancers. "We have spoken with many clinicians in the past months and we have started multiple collaborations in which additional patients in clinical trials will be given the drug based on our predictions," Park said. "We think we could make a real impact in cancer care with this computational method."